Congratulations on your 49th wedding anniversary. With the passing of the years, your relationship has grown stronger and this milestone anniversary is worthy of celebration. What is the 49th wedding anniversary name and symbol? Surprisingly there are no traditional themes attached to the 49th anniversary, but the modern day alternative suggests luxury goods. Depending on individual taste this could range from a 49 day luxury cruise to a pampering at a five star hotel. If your tastes are simpler you might consider a hammock for two for your patio as a luxury item, where you can enjoy some quiet time together watching the sun go down. Luxury goods could mean a vintage bottle of wine or some good port accompanied by an excellent stilton enjoyed at home. 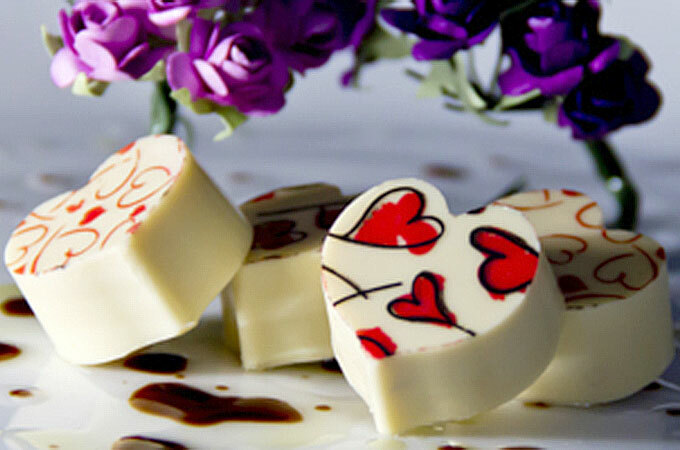 It could be handmade Belgian chocolates to be shared together, or maybe afternoon tea at the Ritz enjoying dainty sandwiches and decadent chocolate éclairs or macaroons served on a multi-tiered bone china cake stand. We all associate orchids with luxury and the colour purple, so why not buy those orchids in purple as your floral gift. If jewellery is the preferred option, then an orchid brooch in purple would make an ideal gift in keeping with the luxury goods theme. For a special celebration book a table for two at a Michelin starred restaurant where you will be served exquisite food you would never dream of making yourself and once tasted, never to be forgotten. For that 49th anniversary you might like a pair of made to measure shoes or designer clothes, experience that feeling of luxury whenever you wear them. What can I buy my husband for our 49th wedding anniversary? These gift ideas can also be for spouse and grandchildren for a 49th anniversary, follow the theme of luxury goods. Presentation box of his favourite drink. Gift vouchers (books, gadgets, almost anything). What should I buy my wife on our 49th wedding anniversary? Creative gift (jewellery making workshops). Country house stay and dinner for 2. View from the Shard and lunch for 2. Visit a vineyard with wine tasting. Visit a country or location on your bucket list. Revisit a place from your early days together. However you decide to celebrate your 49th wedding anniversary be sure to celebrate it with love and romance marking your special occasion as only you can.